PIANZ represents the interests of more than 99% of the poultry processors in New Zealand, most notably the four largest companies, Tegel, Inghams, Brinks and Turks. 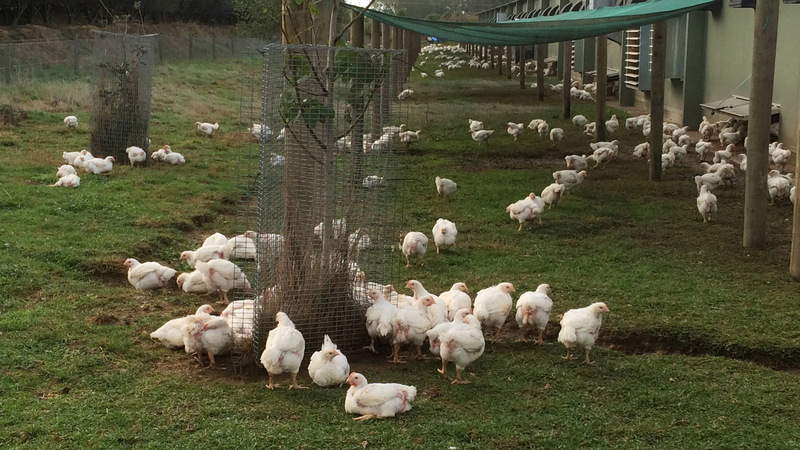 The New Zealand meat chicken industry is modern, highly efficient and vertically integrated, with the chain of production from hatcheries, chicken farms and processing plants largely owned by the major companies. Some companies also own and operate large feed mills. New Zealand meat chicken companies also sell and export their products under individual brands. Meat chicken farmers typically work for companies on a contract management basis. PIANZ promotes and protects the interests of the poultry industry in New Zealand assisting its members through liaising and advising on proposed Government policy and with relevant Government departments. We secure representation on various committees and Boards looking into and making recommendations on how our industry should be regulated or governed while ensuring our products and processes continue to meet the expectations of consumers. We carry out, or instigate and finance, research on issues that affect our industry or that cause concern to our consumers. We also perform a critical role in maintaining the New Zealand poultry industry’s unique status of remaining free of three main avian diseases that routinely decimate flocks overseas, including avian influenza (bird flu). The aim of our policy and research focus is to ensure we continually apply best practice to our industry while also ensuring our members are not unnecessarily disadvantaged by policy or subjected to unfounded or overstated claims that may damage the reputation of our sector of New Zealand’s agricultural economy. We regularly meet with and discuss issues with other stakeholders who have an interest in our industry including our overseas counterparts, the various ministries that oversee our regulation, animal welfare groups and our major customers and retailers. Our goal is to ensure our industry remains a trusted, economic and safe source of food for our consumers while meeting or exceeding the high standards imposed by world respected regulatory bodies such as the Ministry for Primary Industries.